Few Okanagan wineries are more given to exploring varieties not mainstream to the valley than Moon Curser Vineyards of Osoyoos. It was the first to release both Tannat, the predominant red in Uruguay, and Touriga Nacional, Portugal’s leading red. It has an Italian red called Dolcetto in its vineyards. And this spring owners Chris and Beata Tolley have released the Okanagan’s first Arneis. Chris’s ancestry includes northern Italy, accounting for his interest in varieties from that region. Since its revival in Italian vineyards, Arneis has been planted in Australia, New Zealand, California and Oregon. The acreage is seldom large but should grow as the variety is exposed to consumers. Here are notes on Moon Curser’s Arneis and on its other releases this year. Moon Curser Vineyards Arneis 2013 ($22 for 141 cases). This is believed to be the first Piedmont produced in Canada. It is an interesting wine, with aromas of apples and honeysuckles. The palate is generous, with flavours of pear and melon and with a slight touch of anise on the dry finish. 90. Moon Curser Vineyards Afraid 2013 ($21.90). This is the winery’s delicious Rhone white – a blend of 44% Roussanne, 37% Viognier and 19% Marsanne. It begins with aromas of tangerine and apricots, delivering flavours of stone fruits, melon and apples, with a spine of minerality supporting a rich texture and bold (14.1%) alcohol. A wine with power, it has a crisp finish. 91. Moon Curser Vineyards Viognier 2012 ($28). The 14.3% alcohol declared on the label is the first clue that this is a ripe Viognier that benefitted from plenty of hang time to develop maximum flavour. Aromas of apricot, tangerine and ripe bananas explode from the glass. On the palate, there are flavours of apricot, with touches of orange, pineapple and spice. The finish is dry with just a trace of warmth from the alcohol, nicely balanced with the rich texture of the wine. 91. Moon Curser Vineyards Nothing to Declare Rosé 2013 ($21.90 for 119 cases). This is a Syrah rosé made by the saignée method. Twenty-six hours of skin contact has given this quite a dark hue. On the nose, there are aromas of plum, cherry and mulberry. The wine is packed with flavours of cherry and strawberry. The wine, which finishes dry, has the weight and texture of Beaujolais, with rather soft acidity. 88. Moon Curser Vineyards Border Vines 2011 ($25 for 1,805 cases). This is the winery’s flagship red, a blend of 38% Malbec, 25% Cabernet Franc, 24% Merlot, 10% Petit Verdot, 2% Cabernet Sauvignon and 1% Carmenère. Almost black in colour, it begins with aromas of cassis and spice, leading to flavours of blueberry and lingonberry, framed by notes of oak, chocolate and vanilla. The bright acidity and firm texture suggest this is a good candidate for cellaring for several years. 88-90. Moon Curser Vineyards Dead of Night 2011 ($38). This is 50% Syrah and 50% Tannat, both from estate vineyards. This is an inspired blend, with complex aromas of black cherry, plum, vanilla and earth. On the bold palate, there are flavours of black cherry, mulberry and black currant, with peppery, smoky and gamey notes. This is such an expressive wine that it should be matched with boldly flavoured foods, like lamb or venison. 91. Moon Curser Vineyards Pinot Noir 2012 ($28.90). This is a big ripe wine with aromas of spicy cherry and strawberry. On the palate, there are flavours of strawberry and raspberry. The texture is firm but is evolving toward a silky finish. 88. Moon Curser Vineyards Carmenère 2012 ($38 for 192 cases). This is a wine of remarkable intensity, beginning with bold black pepper in the aroma and on the palate. On the palate, there are earthy flavours mixed with prunes and black currants. This wine demands full-flavoured foods. 88. Moon Curser Vineyards Syrah 2012 ($25). Here is a big, juicy Syrah, with generous flavours of plum, black cherry and vanilla. There is a touch both of earthiness and of white pepper. 90. Moon Curser Vineyards Tempranillo 2012 ($29 for 260 cases). Dark in colour, the wine declares itself with bold aromas of blackberry, black cherry and vanilla. On the palate, there is a lovely core of sweet fruit flavours, including blackberry and cherry, along with leather and spice and ripe tannins. The finish lingers. 91. Moon Curser Vineyards Cabernet Sauvignon 2011 ($28.90 for 609 cases). Somewhat lean and tangy, this reflects south Okanagan Cabernet in a cool year. It begins with aromas of mint and black currant. On the palate, there are flavours of red berries, with spice, tobacco and cedar on the finish. This reminded me of a Cabernet from Coonawarra in Australia. 87. Moon Curser Vineyards Merlot 2011 ($25 for 607 cases). The wine begins with bright red berry and vanilla aromas. On the palate, there are notes of black currant and cherry. The initial firm structure led me to revisit the second half of the bottle on the second day. With exposure to air, the wine filled out dramatically and was much richer on the palate. The lesson: use a decanter. 89. Moon Curser Vineyards Petit Verdot 2011 ($29 for 175 cases). The colour, as is typical for the variety, is profoundly dark. The aromas are dramatic, with some floral notes (violets) and with ripe fruit aromas of blackberry and plum. There is a hint of mocha in the background. On the palate, the flavours include plum, cherry, cola and liquorice. The structure is still a bit firm but it should be; this wine will age very nicely for five to seven years. 92. Tinhorn Creek Vineyards is celebrating its 20th anniversary this year with gusto. Throughout the season, the winery has hosted, or will host, 20 different events. For example, the afternoon of July 20 is a festival with wine tastings, music and food from the Miradoro Restaurant. There is a starlight dinner scheduled for August 15. There are a series of concerts with such bands as Hey Ocean and Colin James (I am guessing these are sold out). There are several movie nights in the winery’s amphitheatre, several dinners at Miradoro. The celebrations wind up with a Christmas party on December 6, the 20th of its events. These people certainly know how to party! If you can’t join them at the winery, you can always enjoy the wines. The 2013 white and rosé releases are Tinhorn at the top of its game. Among the other new releases, the very pleasant surprise was the 2010 Oldfield Series Pinot Noir, a $30 wine that tastes like it should cost quite a bit more. For most of its 20 years, Tinhorn Creek has been known for a lot of varietals but seldom for Pinot Noir. One could say that for a number of other wineries as well. Pinot Noir, after all, is a challenging grape to grow well and to handle well in the winery. There seems to have been a sea change in Tinhorn Creek’s Pinot Noir. I am not sure what is going so right for them; it certainly would start with the viticulture. Perhaps there is new winery equipment dedicated to Pinot Noir. Another plus is Tinhorn Creek’s decision in recent years to give its reds more bottle age, meaning that the wines are more likely to be ready to drink on release. The silky Oldfield Series Pinot Noir certainly benefitted from two and a half years of bottle age before its release on July 1, 2014. Tinhorn Creek Gewürztraminer 2013 ($16.99. This wine has started to pile up awards and for good reason. The spice and lychee aromas just reach out from the glass to announce that this is an intense expression of the varietal. On the palate, there are flavours of grapefruit and lychee. The texture is juicy and the wine is balanced to finish fairly dry. 91. Tinhorn Creek Chardonnay 2013 ($18.99). Sixteen per cent of this wine was barrel fermented, giving the winemaker a subtle flavour addition when blending with the tank-fermented wine. The buttery citrus on the palate also suggests a portion saw malolactic fermentation. Fundamentally, this is an appealing fruit-forward Chardonnay with flavours of citrus, apple, guava and tangerine. 89. Tinhorn Creek Pinot Gris 2013 ($18.99). The first sample I tasted in March was still in bottle shock. I have tasted this wine several times since it emerged from shock, finding it to be juicy and refreshing, with crisp apple and citrus flavours. 90. Tinhorn Creek Oldfield Series 2Bench Rosé 2013 ($22.99 for 1,000 cases). This wine is made entirely with Cabernet Franc and is made very much in the style of a Provence rosé – pale salmon hue, delicate fruit flavours and dry on the finish. It has notes of strawberry and cranberry in the aroma and on the palate. 89. Tinhorn Creek Oldfield Series 2Bench White 2013 ($22.99). The tropical fruit bomb is a blend of 31% Sauvignon Blanc, 29% Chardonnay, 28% Sémillon, 9% Viognier and 3% Muscat. It is a mouthful of ripe peach, pear and citrus flavours. The wine is rich on the palate and has a lingering finish. 91. Tinhorn Creek Oldfield Series Pinot Noir 2010 ($29.99). All the stops were pulled out for this wine. This was a cool vintage but picking was delayed until October 8, with the result that the grapes were ripe enough to produce a wine with 14.8% alcohol. It spent a year in French oak barrels and another two and a half years in bottle prior to release. This is a powerful Pinot Noir with aromas of cherry, herbs and sage. It has a juicy concentrated texture with savoury cherry flavours and the complex notes that aficionados like to call barnyard, for reasons that elude me. There is a note of spice on the finish. This is a wine that can be cellared another five years as it expresses its potential. It has won one gold medal and no doubt has others in its future. 92. A new winery, Sea Star Estate Farms and Vineyards, has emerged from the ashes of Pender Island’s Morning Bay Vineyard and Estate Winery. Sea Star has burst onto the wine scene with a stunning debut. Its first four white wines, all from 2013 and all from Pender Island grapes, impressed the judges at the recent Northwest Wine Summit competition. Sea Star came away with two gold medals, a silver medal and a designation as one of 16 wineries of distinction in the competition (winners of two or more gold medals each). It is a strong start for owner David Goudge and his winemaker, Ian Baker. Others also have recognized the quality of the wines. Even before the results of the competition were announced, Sea Star wines had been placed on the lists of several of the best restaurants in Vancouver (Blue Water Cafe, L’Abattoir, Hawksworth, Chambar, and Homer St. Cafe and Bar). In fact, Blue Water purchased the entire vintage, a little over 200 cases, of Stella Maris, the winery’s elegant white blend. In total, the winery has released about 1,500 cases of Pender Island white wines. It has about 600 cases of a Meritage made with Okanagan grapes that will be released next year. David, who has lived on Pender Island for about six years, purchased Morning Bay two and a half years ago after it had closed. He set about resuscitating Pender Island’s only winery. Perhaps Keith dreamed too big. He listed the winery for sale in September 2010 as he struggled to operate Morning Bay under the financial pressure of having built more than a rudimentary winery. He sold the winery to David, operating it under lease for a year as he liquidated his stock of wines. Since taking over the property, David has invested in new tanks, new equipment, a climate controlled barrel cellar and an updated wine shop. However, to those who attended the rock concerts Morning Bay used to host every fall, the winery will look familiar. He came to Vancouver to study architecture at the University of British Columbia. Then he went briefly into the restaurant business before establishing himself as a Vancouver real estate agent. Some of the restaurants that have taken Sea Star wines were restaurants where he entertained clients. That has given him an edge with restaurateurs not known for listing island wines. They also underline that this is the only winery in British Columbia whose property runs down to the ocean. 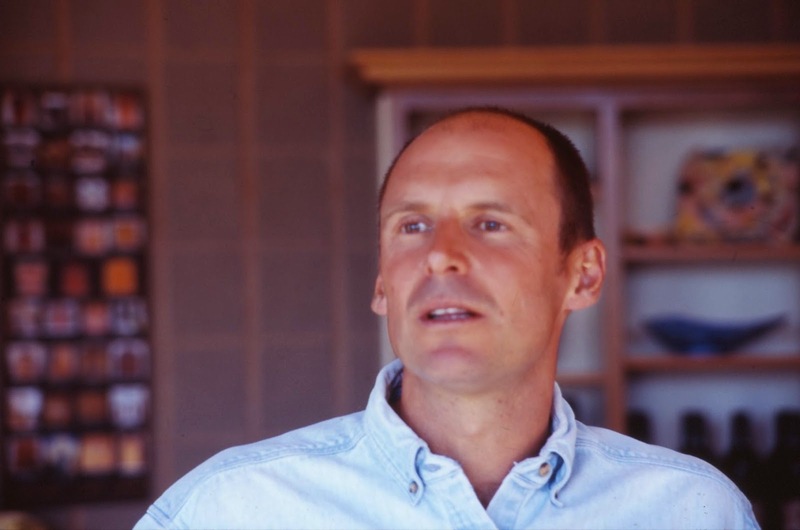 Ian Baker, the vineyard manager and winemaker, formerly was a partner at Mistaken Identity Vineyards on Salt Spring Island, where he also made the wines and ran the organic vineyard. Ian is a one time Department of Fisheries employee and the former operator of a landscape business in Qualicum Beach on Vancouver Island. More to the point, he was a long-time amateur winemaker with, as one of his former partners said, “a box of medals.” He moved to Sea Star in 2013 after about four years with Mistaken Identity. The Pender Island grapes in the winery’s 2013 whites are from the 5,000 vines at Sea Star’s vineyard and the 7,000 vines at the 5.5-acre vineyard at Clam Bay Farm on North Pender Island. Sea Star Blanc de Noir 2013 ($17.90 for 312 cases). This Provence-style rosé made from Clam Bay Farm fruit begins with a rose petal hue. It has aromas and flavours of rhubarb, strawberry and cranberry. The racy acidity gives the wine a fresh and tangy finish. The wine is also crisply dry. This wine won a gold medal and “best rosé” at the Northwest Wine Summit. 90. Sea Star Siegerrebe 2013 ($17.90 for 425 cases). This wonderfully expressive wine, with Clam Bay fruit, begins with aromas of herbs, spice and grapefruit. On the palate, there are flavours of grapefruit, guava, peach and spice. A bowl of tropical fruit flavours, this aromatic wine has a very long finish. The exquisite balance of acidity and residual sugar contributes to the clean, fresh flavours. This wine won gold. 91. Sea Star Ortega 2013 ($18.90 for 448 cases). Also made with Clam Bay fruit, this wine begins with aromas of melon, herbs and a light pinch of hazelnut. On the palate, there are flavours of grapefruit and honeydew supported by a note of minerality. The finish is dry with a touch of spice. Silver medal. 90. Sea Star Stella Maris 2013 ($19.90 but sold out). This is an estate-grown blend of Gewürztraminer, Pinot Noir, Pinot Gris, Riesling, Ortega and Schönburger. It is a very complex dry white with the character and body to give it versatility with food. It has aromas of honey, rose petal, herbs and spice. On the palate, there are flavours of apricot and melon, with a pleasing touch of herbs and spice on the finish. 91. The lagging sales of German wine are long overdue for a rebound in the British Columbia market. And that is not just because the Liquor Distribution Branch has just completed a month-long special promotion. The exposure will help, although there is more that the LDB could do. In the 12 months ended March 31, 2014, sales of German wine in this market totaled an anaemic $7,082,000, down six per cent in the year. The long-term trend has been grim. In the year ended March 1986, German wine sales totaled $13.6 million. It would be hard to find any other major wine producing nation that lost market share here almost steadily over a quarter century. To be sure, much has changed in the wine market in British Columbia in that period. Australia, Chile and Argentina took major market share. The British Columbia wine industry was effectively reborn in 1990 and today has VQA sales of $204 million a year. There has not been much reason to go looking for German wines. As a result, consumers are missing some outstanding wines. Here is a case in point from a recent tasting. A terrific Baden winery, Weingut Heitlinger, has listed a Pinot Blanc in British Columbia. It sells for $17.99 and I scored it at 90. There are about 900 bottles in various stores. What is it competing with? Lake Breeze Pinot Blanc 2012 at $19 is sometimes considered the benchmark Okanagan Pinot Blanc. Hester Creek Pinot Blanc 2013, at $16.95, is also in the same league. The Heitlinger wine, as good as it may be, is in tough. The leading German white varietal is Riesling. Good popularly-priced examples in this market include Lingenfelder Riesling ($18.99), St. Urbans-Hof Old Vines Riesling ($22.99), Tesch Riesling Unplugged ($19.99), Balthasar Ress Riesling ($18.99), Dr. Loosen Riesling ($18.99), Dr. Pauly Bergweiler Riesling ($18.99), Fritz Gunderloch Riesling ($17.99) and Selbach Riesling ($17.95). As it happens, there are a number of competing Rieslings from British Columbia, including Intrigue, Quails’ Gate and Red Rooster at $17 each, Nk’Mip Cellars at $18 and Tantalus at $23. We have caught up with what Germany has done well for centuries. So why would one expect German wine sales to show some life, finally? First of all, there has been an absolute revolution in German wine labels. The baroque and confusing labels of former times now are largely replaced by crisp, clean and readable labels. The legally required hieroglyphics are still there, but on the back label. That struck me forcibly at a recent tasting; when I looked around the room, I saw almost none of the fusty old labelling. The reason the Heitlinger Pinot Blanc could do well here (aside from its good quality) is its colourful label, which is simple and which stands out across the room. All the Heitlinger wines have front labels with a cluster of four H’s stacked against each other. No other clutter. There is a simple, modern label on the Selbach Riesling: an image of a fish with the winery name above and the varietal below. It gets the message across effectively. Secondly, those who are selling German wine in this market have begun to focus on how well the wines pair with Asian food. Is there a better match than sushi and a crisply dry Riesling? During the wine promotion, the Germans hosted a trade tasting and luncheon, pairing wines with dishes from two of Vancouver’s best Asian street food vendors, Vij’s Railway Express and Roaming Dragon. Every pairing worked, including Riesling with Korean bulgogi (a beef brisket dish). St. Urbans-Hof Ockfen Bockstein Riesling Kabinett ($29.99) was a particularly good companion. If the representatives of German wines get more of their wines before consumers in Asian restaurants, that should pay off in future sales. The Germans need to get out the news that they also have red wine. Germany lost a lot of market share to the so-called French paradox phenomenon – that red wines are better for your heart health. Twenty-five years ago, Germans sold only white wines in this market. Red wine sales soared globally after 1992 and left Germany behind. Even today, only $192,000 worth of German reds sold in this market in the 12 months ended March 31. Germany grows excellent Pinot Noir. Two are listed here: Peter & Peter Pinot Noir ($19.99) and Schloss Reinhartshausen Pinot Noir ($23.99). The LDB needs to list a few more, including the good one offered by Heitlinger. That winery’s chances of succeeding in this market would be much better if it had several listings, not just one. It is also my view that the LDB really needs to overhaul its German wine listings. The current list is replete with old brands that are too ordinary to create any excitement. When was the last time a bottle of Blue Nun stirred your soul? To be sure, it must do it for a lot of consumers because the LDB currently has 2,100 bottles in its system. It would be hard to find a Chinese restaurant without it on its wine list. One can only dream that the list might also include Weingut Tesch 2013 Riesling Trocken Unplugged ($20). Currently, the LDB has 287 bottles available. That is not to say the LDB list is devoid of excitement. Weingut Dr. Bassermann – Jordan Jesuitengarten Riesling GG 2012 ($84.50) is one of the greatest German wines in its system. You need to hurry: there are only 16 bottles left. In the 12th annual Lieutenant Governor Wine Awards this year, 432 wines competed for the twelve 2014 awards of excellence in wine. Clearly, it is a tough competition, adjudicated by seven judges over three days (I was one of the judges). In my view, the standard of quality was very high this year. In part, that reflects many wines were from two good vintages in 2012 and 2013. The 2010 and 2011 vintages were challenging but quite a number of producers handled them well. The high quality also reflects the ever more accomplished viticulture and winemaking throughout the industry. The competition is open to all British Columbia wineries. A winery is allowed to enter up to four wines. Unusual among competitions, there is no entry fee. The costs of the competition are born by Government House Trust. The judging is supervised by Marg King of Penticton. She is a veteran of wine competitions, having run the VQA tasting panel for many years when the tastings were done the research centre in Summerland. The judging is entirely blind. The flights of wine – usually no more than a dozen wines to a flight – are poured in a back room at Government House in Victoria, the venue for the judging. The judges will know only what varietal or blend is set before them. They do not know what wineries are represented in each glass. For most of the competition, the judges split into panels (three judges in one, four in the other). In the first round, judges nominate wines to “go forward” to the final round. This year, 55 wines made through to the final round. Those finalist wines are judged by all seven judges over a three to four hour period. The votes of the judges are tallied. The winning wines are those with the highest number of votes. The 2014 winners run the gamut from new entries to established wineries which have won previously. One of the first-time winners, Bonamici Cellars, is still a virtual winery. Operating through an established winery’s license, Bonamici began selling its wines only last year. Mario Rodi and Phil Soo, the partners, plan to establish their own winery in a couple of years. Here are the winners. The tasting notes are those provided by the wineries. The winery is so named because Bernd Schales, one of the owners, comes from a family that has grown grapes in Germany for eight generations. His wife, Stefanie, can trump that. Her family’s wine history goes back 10 generations. This pioneering Lillooet winery is operated by Rolf de Bruin and Heleen Pannekoek. The winery, which began selling wines in 2009, is opening its first tasting room in July in Lillooet. Hester Creek won an award of excellence several years ago for a Cabernet Franc. Winemaker Rob Summers has the advantage of getting grapes from one of the oldest and best vineyards on the Golden Mile Bench. This is the third award of excellence for this winery. That is a commentary on owner Luke Smith’s passion and on his vineyard just off Naramata Road. Krāzē Legz, which opened in 2010, was the first winery in Kaleden (two others have opened since). Owners Sue and Gerry Thygesen, who celebrate the dance craze of the 1920s in the winery name, recently added Skaha Vineyards are a companion label. This is David Enns’s 10th vintage of the flagship red for this Naramata Bench winery. 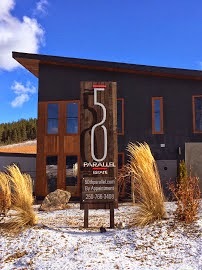 Okanagan Crush Pad in Summerland, where Michael Bartier and Matt Dumayne are winemakers, purchases this Pinot Noir from an excellent vineyard which has a view of the Kettle Valley trestle. Paul Gardner and Julie Rennie, who operate this Penticton area winery, have two excellent vineyards on a bluff overlooking Skaha Lake. Quails’ Gate is celebrating its 25th anniversary this year. However, Tony Stewart and his family have been growing grapes at this vineyard on the slopes of Boucherie Mountain since the 1950s. Ruby Blues’s owner, Prudence Mahrer, now has at least three awards of excellence. She and Beat, her husband, won their first (with a Gewürztraminer) in the debut Lieutenant Governor competition when they still owned Red Rooster Winery. This is a new Okanagan label from Andrew Peller Ltd., which started producing Gretzky wines several years ago in Niagara. The Okanagan wines are made by Stephanie Stanley who also had made Peller wines that took home awards of excellence from previous Lieutenant Governor competitions. New faces are now representing Road 13 Vineyards at public functions: Joe Luckhurst, who was named general manager in January, and his wife, Laura. Joe is the son of Mick and Pam Luckhurst who have been in the wine business since late 2003 when they bought what was then called Golden Mile Cellars. Mick, who is 64 and still farming the vineyards, and Pam have decided to shift some of the load to the next generation after a turbocharged decade driving production from 1,000 cases to well over 20,000 cases. Their hard-charging habit came from previous business careers that included a running a building supply in Vancouver Island to a building development firm in Edmonton. The couple semi-retired to Osoyoos in 2003. After a summer of taking visitors on Okanagan winery tours, they decided to buy a winery of their own. Golden Mile Cellars was then five years old. Peter Serwo, one of the founders, was 71. He and his wife, Helga, had expected that one of their children would take over. When that did not happen, they decided to sell the winery. The Luckhursts operated the winery under that name for four or five years before rebranding (very successfully) as Road 13. It seems that succession planning has worked better for the Luckhursts, with one of their two sons joining them in the business. Joe and Laura – her whimsical title is director of first impressions – have recently been introducing Road 13’s current releases to the trade. Here are my notes on the wines. Road 13 Stemwinder 2012 ($17.99). This is a blend of Marsanne and Roussanne with Chardonnay. In recent vintages, the Stemwinder formula has been changed twice. With this blend, Joe Luckhurst maintains: “I think we hit the nail on the head.” Consumers will agree. This is a wine with guava, peach and apricot flavours that coat the palate with lush tropical fruit. The wine is well-balanced to finish dry. 90. Road 13 Viognier 2013 ($21.99). The grapes for this wine were handled gently with the use of a basket press. That shows in the fresh and delicate aromas and flavours of peach, apricot and apple. 90. Road 13 Merlot 2012 ($24.99 for 374 cases). Here is a big, ripe red with alcohol of 14.9% but with such rich fruit and texture that the alcohol is not obtrusive. There are aromas of black currant, black cherry and vanilla. There is a lovely core of cassis, plum and mulberry flavours on the generous palate. The finish lingers. 91. Road 13 Syrah Malbec 2012 ($25 for 362 cases). This is 66% Syrah and that varietal brings pepper and spice to the aroma and to the gamey flavours. There are also blackberry and cassis flavours. (The winery’s website gives the price to be $32 while the brochure at the tasting reads $25.) 91. Road 13 Cabernet Sauvignon 2012 ($27.99 for 30 cases). The varietal characters of Cabernet jump out of the glass – mint and black currant in both the aroma and the flavour. This is a wine that really should be aged three or four more years, allowing bottle development to convert the youthful green notes to mature flavours. 89-91. Road 13 Fifth Element 2011 ($49.99). There are now six varieties – five Bordeaux reds and a Syrah – in Road 13’s flagship wine. The wine begins with aromas of black olives, blackberry and blueberry. Ripe and rich on the palate and benefitting from 16 months in French oak, the wine has savoury flavours of dark plum, black currant and blackberries. 92.